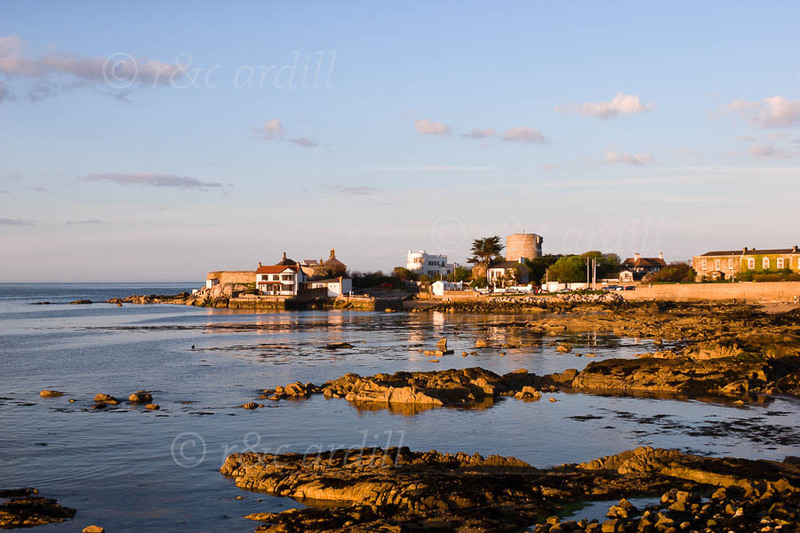 Photo of: East Coast of Ireland: Dublin: Sandycove. A view of Sandycove at the south-eastern end of Dublin Bay at sunset. The round tower is a Martello Tower called The James Joyce Tower. It was one of a series of Martello towers built to withstand an invasion by Napoleon and now holds a museum devoted to the life and works of James Joyce, who made the tower the setting for the first chapter of his masterpiece, Ulysses.